Piadina Slowfood is hidden. Entering, I felt like a traveler in a pretending down-to-earth tourist bar with chilled decor and laid back staff. The music was distracting and hyperactive and out of place. But the menu and staff were as organic as the restaurant looked. We nabbed a table inside on the comfy benches. This place somehow mankes trendy piadinas seem low key, but I went for a slow roasted pumpkin salad crazing a healthy option. Slow food rarely makes me think of slow roasted vegetables and whilst my salad was enjoyable, it is difficult to see the taste benefit of slow cooking pumpkin on low heat. Alongside the pumpkin chunks were olives, tomatoes and peanuts. 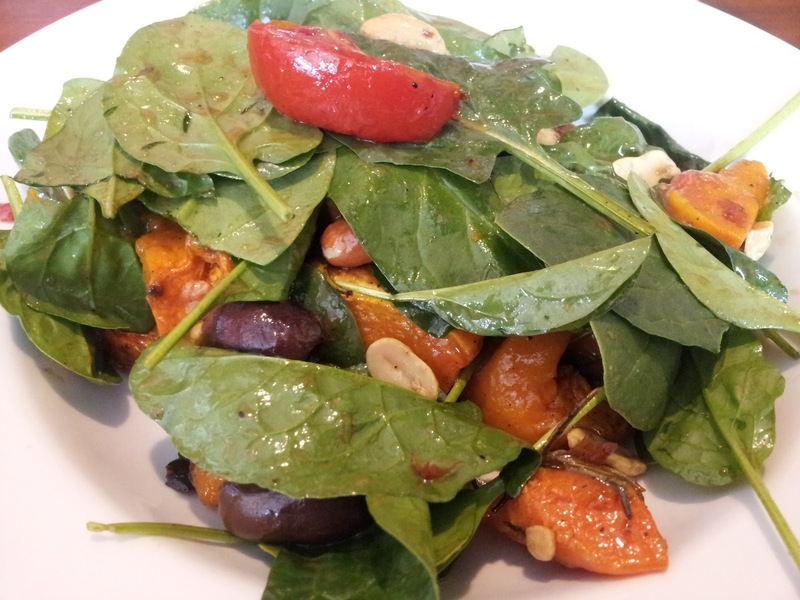 Baby spinach (uncooked) made the base of this salad. It was enjoyable but nothing overly special, just a simple meal in an environment that felt wholesome. 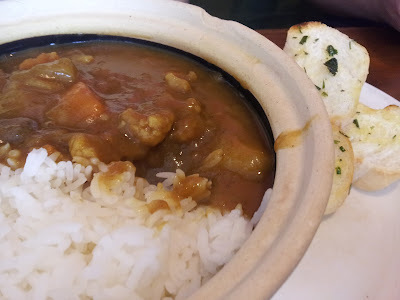 My friend ordered the Japanese curry. For some reason, I am not a fan of Japanese curry and this was no exception. The only time I remember liking Japanese curry was a curry udon dish with rice cake and cheese that I ate in Japan. It sounded like such a strange flavour combination that I had to try it. Surprisingly it was memorable for all the right reasons. My friend enjoyed her curry and despite the distracting music, it was a nice place to relax. Whilst named 'Slowfood' our meals arrived quickly and we were out soon after.